The Trinidad and Tobago National Senior Team has qualified for the 2019 CONCACAF Gold Cup without kicking a ball owing to the Confederation’s new Nations League format, which was unveiled today. All six nations from the 2018 World Cup Qualifying Hex series were granted automatic berths for the next Gold Cup alongside a further 10 teams from a one-off Nations League qualifying phase, which runs from September 2018 to March 2019. 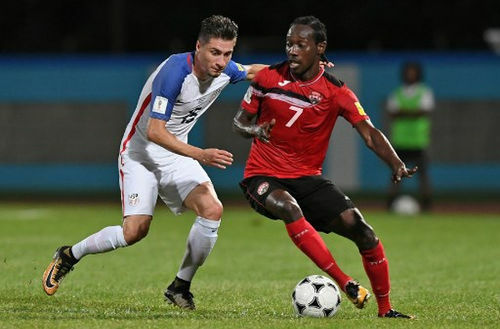 Photo: Trinidad and Tobago winger Nathan Lewis (right) tries to shake off USA defender Eric Lichaj during 2018 World Cup qualifying action in Couva on 10 October, 2017. The Soca Warriors failed to qualify for the 2017 Gold Cup but made it to the Hex under former head coach Stephen Hart. And that feat means Trinidad and Tobago will start competitive life in the new CONCACAF at the next Gold Cup in mid-2019 and as a “League A” football outfit in the inaugural Nations League, which starts in September 2019. The other five automatic 2019 Gold Cup qualifiers are Mexico, Costa Rica, Panama, Honduras and the United States. CONCACAF’s remaining 34 nations, which include Jamaica, Canada, Haiti, Curaçao, El Salvador and Guyana, will compete in a qualifying series from September 2018 that determines the other Gold Cup participants as well as the members of three tiers of the Nations League. League A comprises 12 teams while there will be 16 and 12 outfits in League B and C respectively—at present, Guatemala is serving an international suspension from FIFA. Once the members of League A are decided, all 12 nations—Trinidad and Tobago included—will be divided into four groups of three teams each. The four group winners will advance to the semifinal round to contest the Nations League trophy while the table-proppers will be relegated to League B. 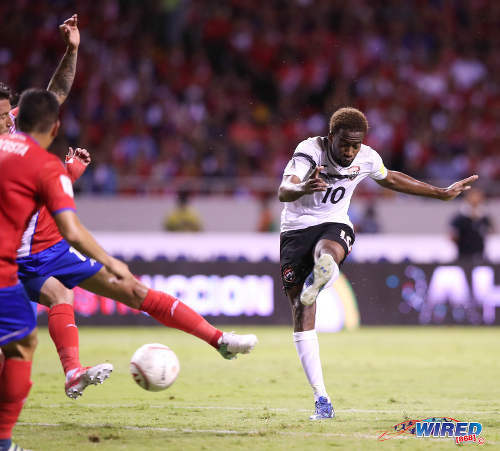 Photo: Trinidad and Tobago playmaker Kevin Molino (right) drives home an equalising goal during 2018 World Cup qualifying action against Costa Rica at the National Stadium in San José on 13 June, 2017. League B comprises four groups with four teams each with the group winners earning automatic promotion to CONCACAF’s top tier while the losers are demoted to League C.
The rationale behind the Nations League is the desire to ensure more meaningful games for the Confederation’s teams as well as to offer increased playing time for minnows who are often eliminated early from the various CONCACAF competitions. 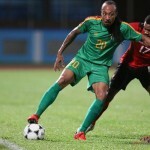 However, it also makes Caribbean Cup tournaments redundant and it is uncertain whether the CFU will try to stage its own regional competition for bragging rights between April and August. The format unveiled today is a slight departure from CONCACAF’s preliminary proposal of eight teams in the top tier with 12 and 15 in the second and the third tiers respectively. Wired868 understands that CONCACAF initially planned to share its three guaranteed World Cup spots between the League A’s four group winners while the half spot would either go to the League B champions or be contested between them and League A’s fourth-placed team. However, the Confederation has not confirmed what format will be used to determine its qualifiers for the Qatar 2022 World Cup and could even revert to the former scenario, including the Hex. The Qatar tournament will be the last World Cup involving 32 teams as FIFA voted to expand the 2026 competition to 48 nations. 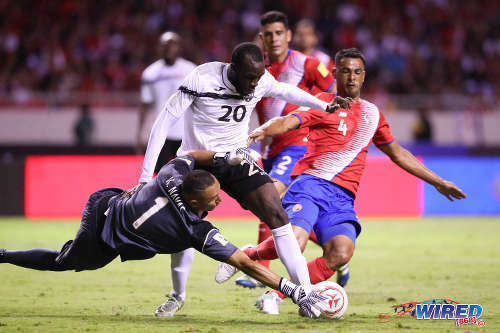 Photo: Trinidad and Tobago forward Jamille Boatswain (centre) is stopped by a remarkable Keilor Navas save while Costa Rica defender Michael Umaña looks on during 2018 World Cup qualifying action at the National Stadium in San José on 13 June, 2017. Trinidad and Tobago’s last competitive match was on 10 October, 2017 when the Warriors stunned USA 2-1 at the Ato Boldon Stadium in Couva. 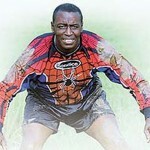 And, when they do return to the playing field at the 2019 Gold Cup, coach Dennis Lawrence’s men will have gone 20 months without a competition match. 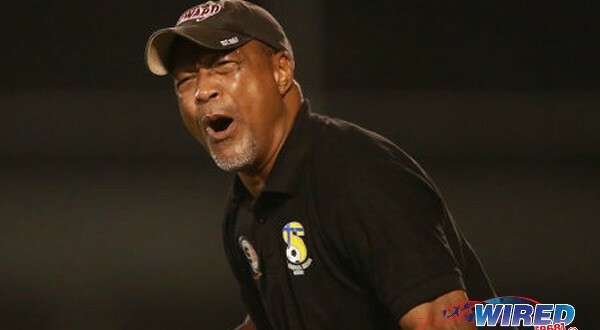 Since last October, the Trinidad and Tobago Football Association (TTFA) arranged two home matches against Grenada and Guyana—both were drawn—while the Warriors are in action again this month when they play away to Guadeloupe and Martinique. I just realize dat the 2019 Copa America and Gold Cup will be going on at the same time. This is really great news! I just hope that we will be properly prepared and make a proud showing to keep ourselves in the tournament and not do our infamous act of becoming complacent. sure, but with a format where MEX, CAN, USA play everyone else, that opens up the prospect of TV deals being struck. 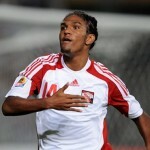 ..Nobody pays to see CFU teams, except probably Jamaica.. ..Meantime, the CFU politcians are grinning and accepting the new status quo, each for his own price..
more matches = more opportunities for TV revenue generation. both locally and within the zone. This HAS to be part of the success formula for CONCACAF going forward. 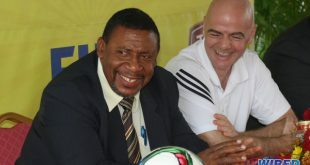 ..This is one more, perhaps the final, nail in CFU’s coffin, which is a major objective of the new CONCACAF leadership. NEVER again will the allow the Caribbean to dominate the Confederation. Secondly, this is probably good news for TTFA because we would not certainly have qualified for the Gold Cup. Thirdly, more games for Caribbean countries sounds nice but these very countries cry blood to pay the cost of even the few matches they had previously. How in the hell are they going to pay now? Politics as usual.. ..This is one more, perhaps the final, nail in CFU’s coffin, which is a major objective of the new CONCACAF leadership. NEVER again will they allow the Caribbean to dominate the Confederation. Secondly, this is probably good news for TTFA because we would not certainly have qualified for the Gold Cup. Thirdly, more games for Caribbean countries sounds nice but these very countries cry blood to pay the cost of even the few matches they had previously. How in the hell are they going to pay now? Politics as usual.. I might be getting ahead of myself here…but unless the lesser teams around the world — my country included? — improve drastically, come 2026 we might be looking at double-digits defeats in the opening rounds of that World Cup??? We’d need to start doing better against the average teams we square off against if we want to keep getting decent South America match practice. Am I asking too much for Bolivia, Paraguay, Ecuador and Venezuela? lol..yeah you are Sean Powder…Let’s beat Martinique, Curacao, Guadeloupe and St Kitts consistently first. Kerron Tyrell Valere damn you really burst my bubble…can’t blame a brother for dreaming. funny thing is most of those countries in the tournament will probably beat us in our present state. Exactly so maximum effort has to he made to remain there cause the smaller countries playing and utilising naturalised citizens to make their teams stronger. Al well and good, but now we really have to rely on the TTFA to schedule meaningful friendlies for all FIFA match days. Precisely. Otherwise advantage turns to disadvantage. Especially when we can count on the Pro League to have local players in top condition. And allyuh does say JDW doh wok… the man pull off ah coup ?? Brent what coup is that? He made sure we qualified ?? Good to have a sense of humor oui! ??????? Nigel Myers Correct me if I’m wrong but doesn’t this League of Nations just like the one in UEFA mean no more FIFA friendly match days ? Yes, in the sense that the tournament will be played during on FIFA match days. The big dogs like USA and Mexico are already making noise about that, saying that the number of quality friendlies will dwindle. Yes, there will still be match days. Not many though. Maybe four match days left in total after that although I saw just two. From a FIFA standpoint, making games between teams from different continents more rare is actually a good thing for the FIFA World Cup and Continental Cup. Makes those tournaments more special. Good? Indifferent? or Bad? Good, because we go be there? Indifferent, because we are not sure what a lack of pre-tournament games would do for us. Bad, we probably would wish we had some warm-up games.